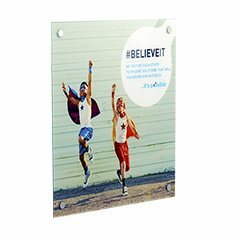 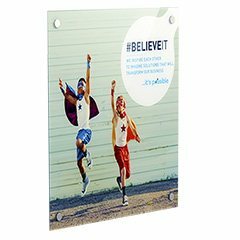 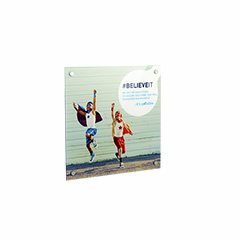 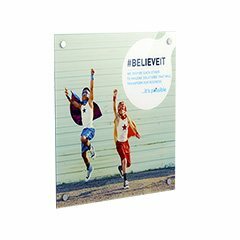 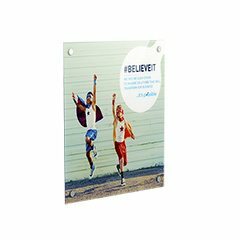 Our Frameless Stand Off Acrylic Photo Panels are a unique option to display images, graphics or signs. 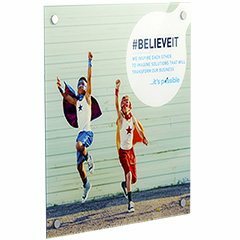 These Acrylic Panels are permanently mounted and fixed with 4 Aluminum Stand Offs which gives a modern frameless design as it sits off the wall. 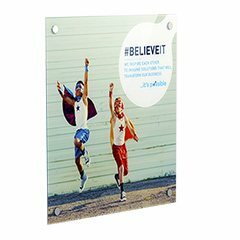 This product is ideal for all type of signage, advertisements or any graphics and images.